I use an ACE knee band that has Velcro strap and a hard center and put it on tight and sometimes it takes a couple of times using it. But when my bursitis flares up I can barely walk, until I have used the strap for a while. I also had the side of the foot broke the same side the knee pain is. I was a lucky person but very close to be paralyzed with cauda equina syndrome. I had gotten hurt on my job in my spine. I was operated on twice, then I had severe pain in my groin, legs, buttocks, etc. I was not able to move. My doctor saved my life. I still have a great deal of pain and now again the fear of a relapse. What I can say to all those who have any spine pain, please do not wait, get help. This article was great. I believe that you have to search for the best doctors. I have my days like today, severe pain on the one side, and unable to move. I am now going to see my doctor again. I am on morphine for pain with patches, and that helps a bit. I am very tired of having to deal with this for years due to an injury on my job. My problem started 10 years ago. Wish you all well, please do not wait to see a doctor, good luck. I did have a removal of my prostate in February 2016. I had a biopsy which showed 5 out 12 areas cancerous. Out of the five areas one was at a high range of 7 and the other 4 were less than 6 (Gleason rating). The doctor suggested surgery after other tests he did showed no cancer spread. I had CT, bone scan and lung x-ray. PSA was 9 something. It has been 6 months since operation but I am still having urine leaking problems and of course erection problems. I guess I at this point wonder if other treatment options should have been looked at in my case but was kind of scared to wait by the information I received from doctor on the things that could result from not taking surgery. So far no PSR detected but that would be if he removed a healthy prostate. I am sitting here wondering. It started with short bursts of severe pain on the left side of my face 6 years ago. Family doctor immediately diagnosed it as trigeminal neuralgia (TN). He took MRI of my face and brain and ruled out anything else. Medications were way too strong so I dealt with a couple of attacks a year. Last year it came back more painful and more frequent. I went for acupuncture; no pain for 8 months but don't know if I can contribute the painless months to acupuncture or the normal break time for the TN. It is back now with a vengeance. I am on 1800 mg of Neurontin a day, and still with attacks once a week. The hospital won't respond to me. I am going to another hospital to get surgery. The doctor saw an artery lying on the nerve. He'll put a disc between the 2 to stop the pain. I am scared but can't live with the pain and not knowing when it will strike. My creatinine is 3.7 with left kidney absent and right retrocaval ureter. I am a diabetic and blood pressure patient. My creatinine blood test result is 1.26. Nothing has been done to lower it. My blood test results show creatinine 0.3, I don't know if this is normal. My creatinine lab test result is 133.9 umol/L which is 18.9 umol higher than the maximum normal range. The normal range is 70 to 115. If my figures are correct I wonder how significant the difference is. I did a recent lab test for some insurance that we needed. My creatinine was 589.00, using a lab range of 10 to 300. Seems high to me. I am not worried, I am not in control. I fainted couple of days ago for the second time. First time happened two years ago. I have a spine injury and suffer from severe migraine headaches. The doctor did ECG and brain scan but could not find any obvious reasons. I had migraine symptoms at the time and got up to take sumatriptan. Next moment I found myself on floor. I am very worried it could happen again whilst driving or something. I have sound in my ears like water moving and pain on the right side of neck. My legs feel fine when sitting or lying down. However, when I stand or walk I get a terrible sort of muscular type pain in my thighs. It used to be only in my left thigh, but it is now also in my right thigh. My medications (Tylenol, Aleve, Advil, Excedrin, etc.) help. I am now going to try some herbals. I have been to a series of doctors, none seem to know the cause. At this point, I am having extreme difficulty walking. Very frustrating! I have had tinnitus for over ten years, it drives me crazy! I have tried everything to make it stop. I went to the ear doctor, had my hearing checked, but nothing worked or helped. I take medication to relax and medicines to help me sleep. I keep a fan on in my room or soft music playing to help with the nonstop ringing. My daughter just got over having pneumonia and developed tinnitus while she was sick. Her doctor told her to use Flonase and any kind of antihistamine once in the morning. It must be Flonase because it contains a steroid. I woke this morning feeling much better and I will continue to use it daily as I have found it to have helped enough to give me hope. Good luck to all the sufferers, it is an awful feeling. My gastritis started with a normal case of indigestion but it wouldn't/didn't go away. At the same time I started having middle back pain that really curtailed activity. After a week it started to wake me up at night; burning, fiery pain that one time went away with a strong pain reliever, but the pink stuff didn't touch it. Eating is not at all interesting to me and I've lost five pounds in a week. That part's not bad! My case of shingles started 3 weeks ago. I had severe red-hot pain down the back of my left buttock and leg but no blisters or sores. This could be because I had the shingles vaccine in April 2014. A different deep, intermittent, pinched-nerve type pain started nearby in my buttock last week, and now I'm using a cane to keep it from flaring. My doctor didn't prescribe an anti-viral since he thought my case would be mild. No painkiller has been effective. Now I have neuropathy in the area too and I hope it goes away with the more severe pain. I have had injections for pain in the legs initiating from damage to vertebrae, after some years. I now get severe pain in the left groin which is there all the time causing me disturbed sleep, numbness and tingling. I also have type 2 diabetes but this is under control, but I am worried that I have peripheral neuropathy. He has congestive heart failure and needs a diuretic. He had to change to a new diuretic as he was allergic to Lasix. His most recent blood test shows a creatinine level of 1.75 mg/dl. They took him down to diuretic 5 times a week instead of daily. I was playing bush bocce and threw the ball overhand. I felt an immediate sharp pain in my right shoulder. I am right handed. I had dull pain on and off for several weeks. However after a month the pain became severe, 8 out of 10. I had trouble sleeping. The pain radiated from my shoulder down my arm into my biceps and at times in the shoulder wing area of my back. I've been to the chiropractor several times over the past 2 months with minimal short term relief. Today I went to my general physician and had x-rays. I will be starting physiotherapy this week. I had chronic abdominal bloating and cramps, and tingling in fingers arms. Doctor arranged for me to have my potassium levels checked, and it showed that I was indeed low in potassium. For three weeks, I stopped taking a diuretic plus ate 2 bananas a day. I will have another check this week to ensure potassium level is back to normal. My creatinine level was elevated due to taking arthritis medication. My doctor discontinued the medication. I also cannot take Advil or Aleve. I had no symptoms of elevated creatinine. This was discovered during a routine yearly exam. I started taking a monohydrate creatine supplement to help my workout. I had a recent blood test and the doctor said to quit the supplement as levels were too high. I've since stopped as I certainly don't want to create a health problem. People say studies indicate no danger with supplement but I'm dubious. My 17 year old son has CK (creatine phosphokinase) level that is between 350000 and 950000 6 days in a row, and he's been getting IV fluids and glucose just added in the fluid yesterday to help in healing the muscle. He was diagnosed with rhabdomyolysis, with coffee color urine when we got to the emergency room and red wine color urine after several bags of IV fluid. My creatinine is showing 1.1, the range should be 0.5 - 0.9. I have high cholesterol, HDL 41, and triglycerides 318. He put me on Lipitor. Not good numbers. My mother"s creatinine levels were 3.7, up from 3.0 last year. The doctor said she has kidney failure and probably will only live for 3 to 6 months. She is not a candidate for dialysis. About a year and a half ago I had kidney failure. My symptoms were overwhelming tiredness, throwing up for six months, my hair started falling out, and I had trouble walking. At the time I was unaware of the kidney problem. One day while at work my foot began to hurt, as the day went on, it got worse and worse. By lunch time I had to leave work, it hurt so badly. I went straight to the doctor's office. The doctor diagnosed it as gout. I had never had this before. Then she said I need to see a kidney doctor as I was in kidney failure. Within the next few days I went to the kidney doctor. After the examination he said I had lost 25% of my kidney usage and I never would get that back. While having this discussion, we discovered that Aleve is what had caused my problem. Taken over a long period of time this can happen. I was not aware of that, but now I am. I believe my gout came from the kidney problems. I take Uloric every day. I had gout 12 times in a two month period. Until I started taking the Uloric, I got no relief. As my kidneys got better and the Uloric kicked in I stopped having gout. Last time I was at the kidney doctor's office, my creatine went up a little more. Last Friday I had an appointment with a nephrologist who indicated that creatinine level jumped from 1.7 to 4.5 in a short time. He advised admission immediately to the hospital where tests indicated kidney injury and multiple myeloma. After 24 hours the number dropped to 3.5 and I was allowed to go home. The diagnosis seemed to infer that taking Avapro was the culprit. My creatinine result was 1.75. I am on dialysis. My creatinine level was 1.02. I am going to take the test again. My creatinine level was 1.35 and antibiotic was given. But I got no relief. I am a 45 years old (man) I have 2.73 mg/dl serum creatinine. I am worried if I need dialysis. I hope it can be cured by medication. My creatine was 5.4, after a month it decreased to 4.6. Again after another month it decreased to 4.0. But now I have ache in my foot. It takes turns. Sometimes right foot then left. My husband's test level for creatinine is 1.41. He is 58 and drinks and is an ironworker. I am scared. Yes, the last test showed a slightly lower level of creatinine. I was given a special diet to follow. I will be tested again next month. I fell 10 days ago. I hit my head on the tile floor. A bump came up on my scalp. I put ice on the hematoma for 24 hours. The bump has not diminished in size. I have severe osteoporosis and broke 3 vertebrae. I had a vertebroplasty done but it was unsuccessful due to osteoporosis. I have tried Targin and patches for chronic pain, but none works. I am on the bed 90 percent of the day due to chronic pain. The pain specialist I have seen can't suggest anything more. In the beginning of this year staph infection started with a pain in my husband's lower back, then right leg, and up to his right shoulder. Then a red dot appeared on the right side of his chest near his neck. After a few minutes the dot (abscess) looked like half a tennis ball. Then afterwards it was like a small hard marble then the abscess started to swell towards my husband's throat and blocked his airway. The doctor drained that abscess, and afterwards he went to ICU for 8 days. After 3 months between 4 hospitals, he is now at home, with a draining machine. He get a lower back operation caused by the bacteria. The doctors told us the staphylococcus is unknown. They removed the machine after 2 months. But he must go for dressing every day. I have a creatinine level of 123, but no action is taken yet. I am 61 year old woman with polycystic kidney disease (PKD). Creatinine is high at 5.8. BUN is at 8.2. My potassium levels are normal, and my blood pressure is good. My GFR is at 7. Shouldn't I be feeling lethargic? Yet I feel good. My kidney doctor is amazed at how I feel. I don't know what can bring down my creatinine as again I feel good, but the numbers keep on going up. My creatinine level is 1.15, have been taking Mobic for arthritis for several years. Doctor has taken me off of it for four weeks to see if it will level out. I had chronic renal failure, and my first transplant lasted 13 years. I had a second transplant eight months ago after I was told that I could not have peritoneal dialysis again. Today I was told that my creatinine was high from 159umol/l to 185umol/l. I wonder what caused the raised creatinine. I am not feeling ill.
My creatinine level was 109 and I have not exercised in 6 months. I drink an average of 2 liters of water a day. In the last three weeks I have been very tired and short of breath. And I wake up every morning with my back on the right side (area between the ribs and the hip) hurting me. The doctor told me it is nothing to worry about but I am not so sure. My father was admitted in a hospital for heart problem. He underwent angiogram. There were 3 blocks and 4 stents were put in. Since they have done this process, now the creatinine level is slowly increasing; from 1.2 it went to 2.2 then to 3.2 then 3.7 then 4.1 then 4.2 then 4.2 and today it is in 4.6. Due to this he had breathing trouble and he had an injection for this and he is ok now and in CCU (coronary care unit). The doctor is in two minds now whether to go for dialysis now for this purpose to reduce the creatinine level or to wait one or 2 days to naturally settle down the level. I just checked on my blood level creatinine level from last August 2011 it was 4.22. Saw my Urologist yesterday and he said there was nothing to report of a "spot" they saw from an earlier Ultrasound, and he wants to have another Ultrasound done in August 2012. I have had multiple gout attacks for the past 4 years and I believe my leg aches and gout episodes are caused by the failing right kidney. The doctor said that there is no connection between kidney function and gout. I totally disagree. The kidneys are supposed to rid the body of the urea acid which causes the gout. Am taking daily a pill of Colchicine to relieve gout aches. Entire toes joints on right foot are half numb always. Yes, my creatinine level I high and I don't know how to lower it. My father's blood creatinine level is 3.8. He is feeling back pain. Yes, my creatinine result is 36.5. My little toe is bruised and swollen, and it hurts like a shooting pain. If I rest it or walk it still hurts. I think it might be broken. My serum creatinine level is 1.22 mg/dl. My age is 54, male. My creatinine level is 141 mg/dl, I wonder if this is high. My creatinine is at 61, I wonder if that is a low creatinine level. I have creatinine level is 1.06, I wonder if it is a symptom of kidney failure. I have 1.6 creatinine level, I don't know if this is normal or high. I am worried that it might be a symptom of kidney failure. My creatinine level is 150, I wonder what I must do. Yesterday I tested my blood creatine and the result came as .67. I am not sure if it is good or bad for me. My mother's creatine level is 1.26. My creatinine level result came back 8.8mg/mmol. I have been a diabetic for the last 33 years. My creatinine has always been within normal range. However in the last test it was 1.32. I am concerned my creatinine levels are high and the level of blood in my urine is also high; I have high blood pressure (HBP) which is now controlled. I never have energy and could lose a few pounds. I am wondering if is there a way to get this under control without taking more medicines. I am hoping to get off the HBP medication and start a natural regimen. The serum creatinine is 3.0 mg/dl, serum uric acid 9.8, serum glucose random 276.0 mg/dl, and 15.3 mmol/l. My mother is 77 now. She has very weak bones from osteoporosis and getting paralyzed due to severe pains. Doctor has suggested Tonoflex-P twice a day to get some relief. My creatine level is 1.21. I am a diabetic patient. I had to check the creatinine and it is 1.8 mg percent. My mom is the curer of sties in our family. She uses her gold wedding ring. Says a small prayer while rubbing the ring over the sty and within minutes it is usually gone; the bad ones you need to use a hot tea bag. If using a ring it has to be a blessed wedding ring. My creatine phosphokinase serum is 111 U/L. My creatinine levels were 1.35 and triglycerides were 186. None of my levels have ever been abnormal. This has me kind of worried. I got 2 ticks off the back of my neck. I didn't pay it any mind, ticks were a normal part of summer or so I thought. I worked out of town with this sickness for 2 weeks before I got in to see the doctor. I thought I had the flu or that my blood pressure had gone through the roof, I felt like my head was going to explode. I lost all of my balance and I had gotten slurred speech and was sweating like I was inside a solid heater. I thought I was going to die. Well, now after the treatment for Rocky Mountain spotted fever I cannot be in direct sunlight. It feels like my brain is swelling up in my skull, I start slurring my speech and am ready to pass out. It makes me sick for days if I get too hot. A migraine headache can't touch what it does to me. So obviously I didn't seek treatment soon enough. Now I cannot work because of this and hopefully Social Security Disability office will see what it's done to me and take it for what it is. A deadly disease that could kill or at times wish you did die. Yes it is that bad. Palpitations last for weeks and wear me out. I just got my blood results back from my 3 month blood work. My creatinine number was a 1.13. My doctor has ordered basic metabolic panel on me twice. Both times my creatinine levels came back high. Since last three months my creatinine increased gradually. Now I have 1.6 ml. As per medical lab, maximum for normal is 1.5 ml. I had suffered from tuberculosis 2 years back and I had taken medicine in the 1st stage and it was cured. Recently I checked with x-ray, and doctor told one mark is there. My creatinine level was 21.3 ratio and 3.7 g/dl. I found a lump in my right breast about a month ago, and I am due in for my ultrasound tomorrow. I have just found out my granddad and his sister both had lumpectomies. I am starting to panic now about breast cancer with what I have just found out. I haven't mentioned the lumpectomy to the doctor yet as I have just found out. I have recently been diagnosed with CKD GFR37 and creatinine level 125. My creatinine test result is 1.23 and BUN is 26. I wonder if this can be lowered by medicine, exercise and reducing A1c. I have type 2 diabetes. I'm a cancer patient and need an MRI with contrast before a needed brain scan is performed. My creatinine levels were high during a prescreening blood test. Not sure what to do as this time. 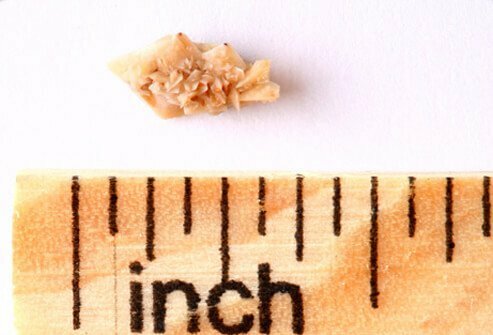 I went to the emergency room (ER) with a kidney stone and a few tests were done. My creatinine level was about 1.48 which is high, I didn't even know what that was. I've been doing some research, I'm going to see a doctor and to find out if it was due to the kidney stone. My creatinine is 361.5 mg/DL, albumin is 24.4 mg/L, and the ratio is 6.7 mg/G. My story… I was given a couple of days to live as a toddler when my kidneys shut down and I became severely jaundiced. I spent months in the hospital but got through it. I had issues with my kidneys and bladder as a kid, often not being able to hold my bladder up until my teen years. While pregnant with both of my kids, I would have frequent 'accidents' the entire 3rd trimester. Now 38, I'm having severe flank pain, spongy kidneys, and calcifications in the medullary, starting to suffer from leg pains, blurred vision, and am often tired all day. I'm average height and weight, eat a moderately healthy diet, and exercise 3 days a week. I'm an ultrasound technician and do regular scans on myself, but I don't understand the levels of the creatinine and albumin. Kidney doctor says, my creatinine level 3 result indicates using 15% of kidney. My creatinine level was 1.9 last time I visited with my primary doctor. Actions taken were to lower my Prograf levels to 7 - 10, drink more fluids, watch my sugar intake and exercise. My results were 342.3 mg/dl. The paperwork says 0.0 mg/dl to 300.00mg/dl is normal. I had my blood drawn last week and got the results today. It says my creatinine level is 2.01. I don"t feel bad, in fact I think I am very healthy; even the doctor says I am in good health. I have an appointment to see him next week so it doesn"t seem to alarming since the appointment is next week. My creatinine level is 3.0 and my BUN level is 68. They go down and a little up sometimes. My doctor says it is okay for 3 stage kidney failure. I'm 24 years old and my creatinine is 2.3. After 1 week it's already 2.9. My doctor said that I have a kidney failure; he gave me some maintenance medicine to lower my triglycerides and cholesterol. Now my BP is 90/70 before it was 130/90. My symptoms were loss of appetite and dizziness upon standing. I was taken to the emergency room at this point and blood was taken and they said I was in acute kidney failure with creatinine level at 4.9 and BUN of 45. I was quite shocked as I really didn't feel that sick. The doctor is pretty sure I will have a full recovery. My recent creatinine blood test show 1.99 Highest I've ever had. I had a lung transplant and take Tacrolimus. My creatinine level in march of 2013 was 1.31. Checked agin in June it was 1.12. I have solitary kidney and do not know how to lower it. I drinks lots of water, 8 8oz glasses a day. Thank you. My last blood test [6/10/13] indicated a CK low level, 24. My cholesterol is 148, my triclycerides is 147. hdl 39. I walk 2 miles a day and exercise 7 days a week. I weigh 175 and I am 5 ft 9. I eat most of the time healthy. My husband's creatinine was 8.2. At 42, my wife was diagnosed with SLE in 1998. In 2006 she was diagnosed with grade IV lupus nephritis. Hypertension has plagued her for the past year and a half. A few weeks ago, she experienced some reactive airway distress, prompting a visit to the ER. Within hours she landed in the ICU. She has been intubated and ventilated until a week ago. She was moved from ICU to the telemetry floor two days ago. She is alert yet very confused and has trouble carrying on a conversation. She is very tired, but physical therapists are working with her to limber up. I learned tonight that her creatinine was 2.2, which shocked me, as I was assured her kidney function was fine. So, of course, I worry now that her kidneys are worse. I'm very concerned. She receives Rituxan every six months. My latest creatinine blood test levels were at 1.7. My doctor told me to start with insulin next month, as I am a diabetic patient. My friend's creatinine is 1.3. I am wondering what this means and if we should get additional medical check-ups. My creatinine results were 1.72. What does this mean? My creatinne was 0.7, meaning my kidneys are working at 86cc/hr. I am a female, 59 yrs old, weight 120 lbs. 5'4". I have had some recent blood tests done which all came back negative, however, my doctor said that my creatinine levels are currently 104 so she would like to do another test in 3 weeks time. She has informed me not to worry, however I feel until I have the next test done i will not be able to rest. Initially 252. But I had a very severe pain due to a kidney stone in my urinary track. I was prescribed a pain killer. After taking a few of the pain killer pills my blood test results showed my creatinine went up to 490. After a couple of days without the pain killers my blood test showed that my creatinine level was 384.